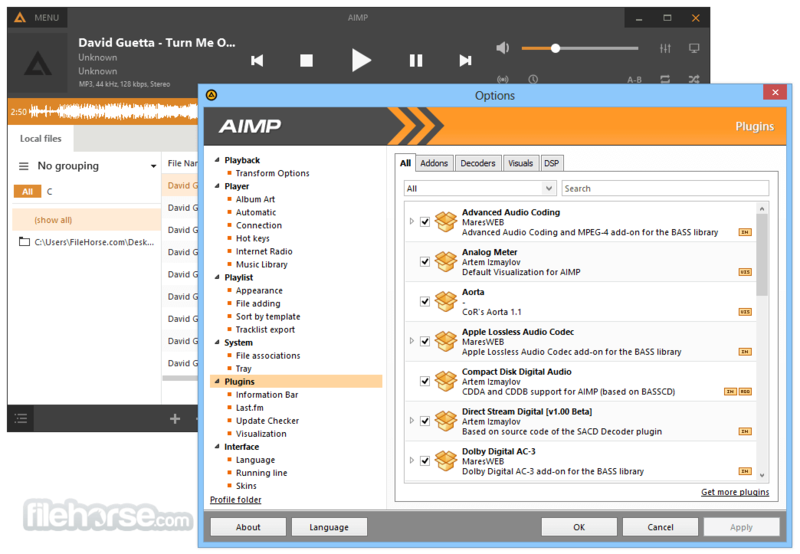 AIMP is a full-featured music player designed with sound quality and wide, customizable functionality in mind. 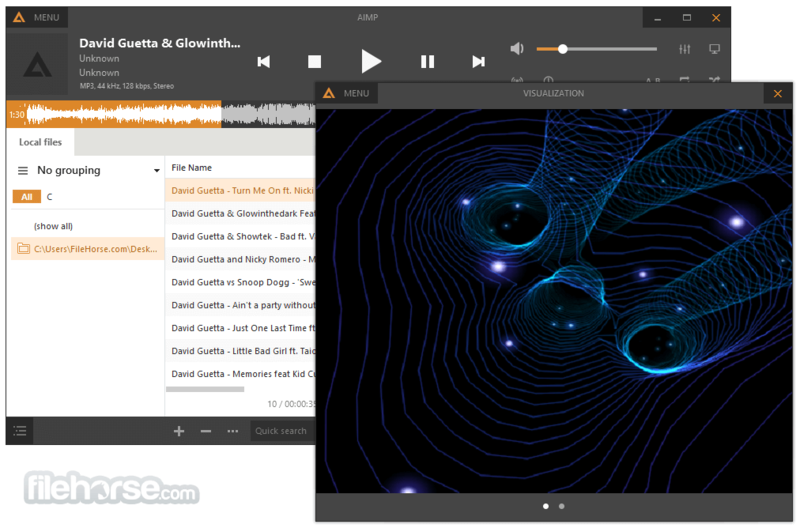 Thirty audio formats are supported. Audio is processed in 32-bit for crystal-clear sound. The player features a 18-band graphics equalizer with extra built-in sound effects. 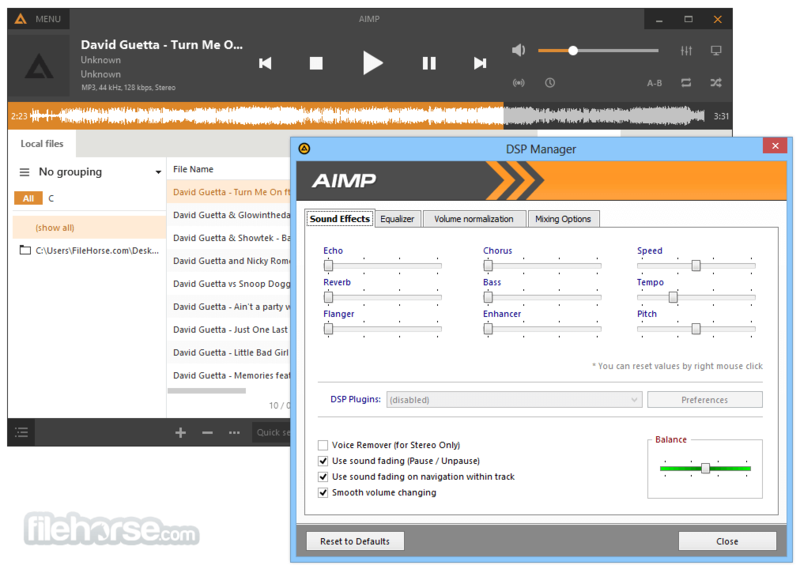 You can extend the existing functionality adding Input, DSP and Gen plug-ins from Winamp. All local and global hotkeys are customizable. Full Unicode support. You can convert Audio CD to MP3, OGG, WAV or WMA. 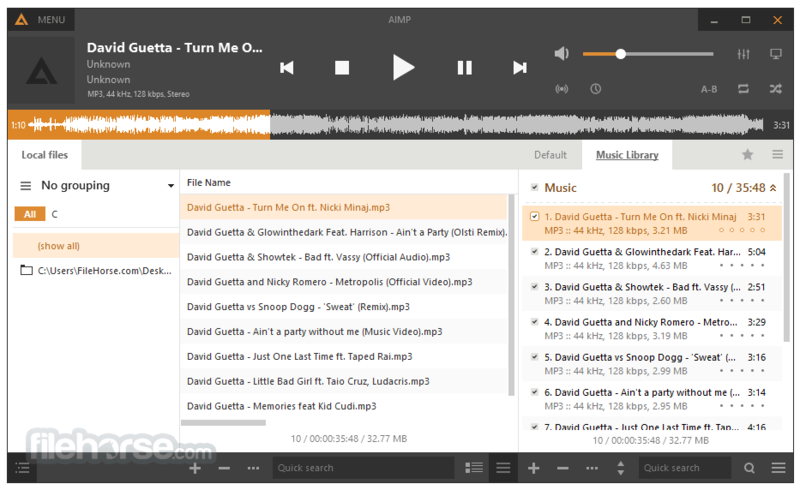 Similarly, you can grab sound from any audio device on your PC to MP3, OGG, WAV or WMA formats. 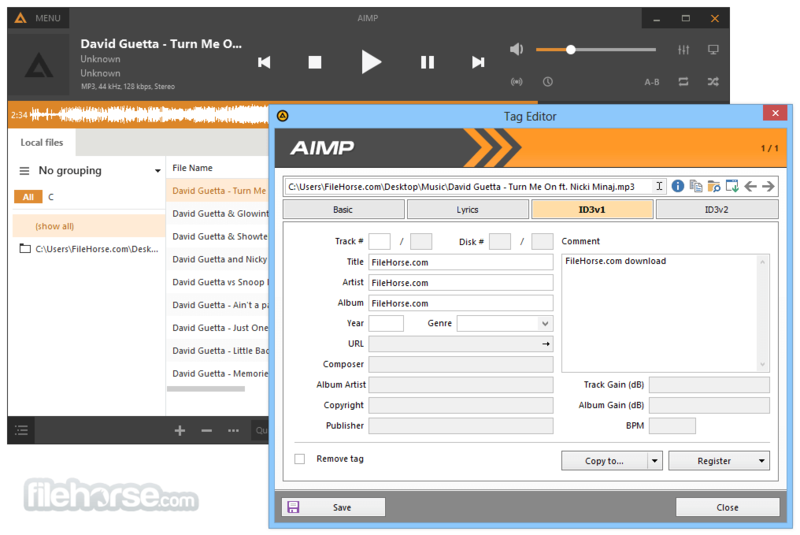 You can download AIMP for PC offline installer from our site by clicking on free download button.